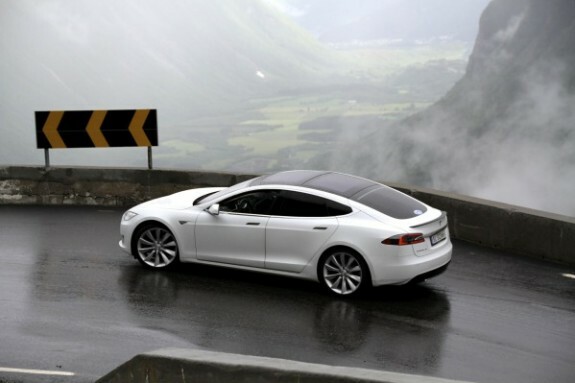 What Solar Marketers Can Learn From Tesla’s “Insane” Mode. Tesla gets enough press attention, so I’ve never written about them as a topic for solar marketing…. And then I learned about Tesla’s “Insane” mode, and I couldn’t resist writing about it—not from a gee-whiz automotive technology perspective, but from a solar marketing perspective. Don’t take your solar marketing so seriously. The name dares Tesla drivers to try it and for tech and video reviewers to share their experience trying it. It’s also a name that BMW, Mercedes and Lexus would have rejected immediately because their brands are too serious, too stodgy, and too afraid to have fun with naming their features. Of course this super-acceleration EV technology is amazing, getting you from 0 to 60 in 3.2 seconds. Still, it wouldn’t be getting as much consumer and media attention if the same technology were called “Boost Mode” or “Super Mode” or something less bold and irreverent. For the record, I predict that “Insane Mode” will become an internet meme, and that people are going to begin positively referring to other people and products as being in “Insane Mode.” For example, “Watch out. Joe is in ‘Insane Mode,’” would mean that Joe is doing great work and/or getting things done quickly. The second Tesla lesson for solar marketers is to be surprising. It’s not just that Tesla named this acceleration mode “Insane,” but it also didn’t explain it. Instead, it just put the name into the car, allowing first time Tesla passengers to see the odd name, be curious about it, and then try it—with delightfully surprising results. So, what’s surprising and positive about your solar technology or installation service? Keep in mind that Tesla’s bold name had a “wink-wink” sense of humor and actually lived up to its description; plus, the payoff of super acceleration was positive. For solar manufacturers, test your name out with friends of the company. If they don’t spontaneously laugh at your solar device button’s name and its corresponding action, it’s the wrong name. For solar installers, think in terms of creating and naming a fun, added value customer service. Perhaps you can give a residential family some kind of surprise thank you gift at the completion of the solar installation or at interconnection. But don’t just give a gift, name it something memorable and related to solar. Tesla’s third lesson for solar marketers is to be visual. I’ve said this many times before in this blog, and it still holds true today: Solar marketers must be as visual as possible, and our visuals must reflect the positive experience of our products and services. In this video, we don’t even see the dashboard screen that shows the Sport/Insane buttons. All we see are the looks on the passengers’ faces and hear their R-rated verbal reactions, yet it’s hard not to want to share this video. In two days, it already has 358,000 views on YouTube. Can you do something with your solar product or service that delights your customers in the same way? Great. Can you get this positive experience on video? If you can, then that video should spread easily, and so will your solar brand. Congratulations, Tesla. “Insane” mode is a terrific example of how to “UnThink” electric vehicle—and solar—marketing.